It's Your Home.Not Just Any Handyman Will Do. Still not sure what you're looking for? Find YOUR LOCAL OFFICE and get your questions answered. Check off your to-do list by bundling a number of projects into a half day's work. Our multi-skilled Craftsmen will reduce the stress of nagging repairs and tasks. 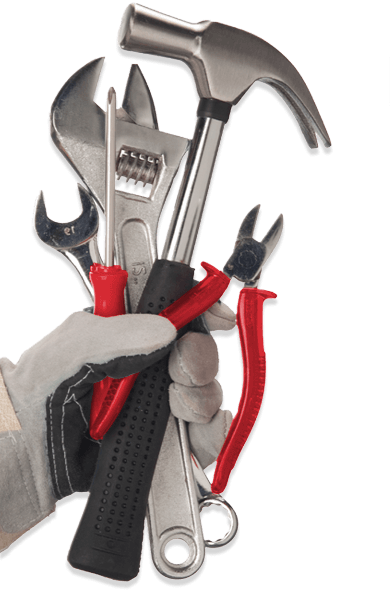 One Stop Home Improvement & Repairs – We're Your Home Ally. For most of us, our home isn't just a place, it's where we raise our children, spend time with family and oftentimes retire. It represents one of the top investments many of us make in our lifetimes, yet most people struggle with proper upkeep. Simply put, though life is busy, your home is precious and it's essential to give it the attention it needs. Solving home-improvement issues the way the customer expects. Responding quickly, professionally and appropriately to each customer's unique needs. Partnering with our customers to help manage the maintenance, upkeep and improvement needs for their homes, one of their most valuable assets. Rigorously tested multi-skilled Craftsmen to ensure their work stands the test of time. "Life's too busy and a home is too valuable to keep up with on my own." We've completed more than 1,000,000 home-improvement jobs nationwide with professionalism, quality and customer service always in mind. We hear all too often your life is too busy and your home is too valuable to keep up with it on your own. Contact your local office for details. We needed a quick fix for some stairs in our company showroom. I was able to get in contact with someone quickly, and Jacob came out the next morning to complete the job. It was done well, and he made sure to review everything with us before leaving to make sure we were happy. Much appreciated! We had a variety of smaller jobs - rotting wood in a door frame, some high and low gutter work, a little electrical work, assessing an older fence for future work, and an assessment of a larger double door frame issue. Ray was prompt, walked through all the repair options for each job (even making suggestions for a future half day job that will save us money). After signing a well-explained estimate, Ray got to work, did everything he promised to do - AND HE DID THEM ALL WITH EXCELLENCE. Ray was friendly, professional, he listened, and came through as promised. I will ask for him specifically for the next project we discussed. Out of five stars i would rate Bretts work as Six stars. He did a number of small projects including installing shelves, painting and tile work. He was always very responsible, on time and did exactly what was agreed to and all the work looked great. I will certainly use Handyman Matters again ! It was the best handyman service I have ever used.